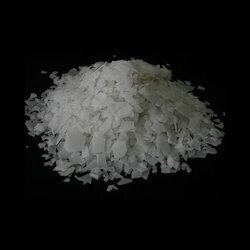 Prominent & Leading Wholesale Supplier from Kolkata, we offer caustic soda flakes. With our rich experience and expertise, we are engaged in trading, supplying and importing an extensive range of Caustic Soda Flakes to meet the demands of our customers. This is procured from caustic soda flakes. This is extensively used in making of dyes, detergents, soaps and many more chemicals. It is odourless matter that is highly soluble in organic solvents.